Home Future Gold Investment Savings Invest in Gold and Benefit all your Life! Invest in Gold and Benefit all your Life! Can you remember a time when you did not see any gold jewellery at an Indian family event? Probably not! Gold jewellery can be found everywhere in India. Not only on women but men as well! There is no escaping a gold ornament. They are worn at every family celebration whether it is something as grand as a wedding, or a smaller event such as a housewarming lunch. Not only do people wear gold but they also exchange it as gifts. Gold is considered auspicious for its inert properties. It does not react with other elements and is a stable metal. It can last you a lifetime. The role of gold can be seen in happy occasions such as weddings, births, poojas and during the traditional ceremonies performed at a funeral. 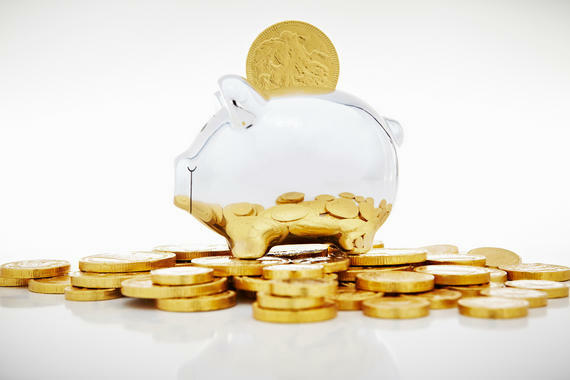 With so much gold needed throughout your lifetime, is it not better to start saving early in gold? Like all precious metals, gold too is affected by the economic conditions in the world. What set gold apart in this country are its trends in the past. Even during economic slowdowns, gold remains mostly unperturbed when compared to its counterparts. When other metals suffered highs and lows in terms of their prices, gold was relatively stable. Even when the cost was high, people did not stop purchasing gold. One of the reasons for this can be attributed to the fact that Indian celebrations and festivals do not stop. There is always a need to buy gold jewellery, ornaments, coins and bars and precious good luck charms. If you made an early start in purchasing gold, then you can sell it to make a profit when the price shoots up. Owing to its popularity, you will always find vendors and buyers for the precious metal. It is easy to find, buy and sell gold. Also, there are many designs and options available in gold jewellery and investment. It will not be difficult to find a genuine jeweller that sells gold ornaments with the hallmark signage, which is considered as the seal of a genuine product. It also makes sure that you will get a fair price when you sell that piece of gold. Other than jewellery, coins and bars you can also trade in mutual funds. Gold ETFs are a great option if you do not want to hold the physical gold and only trade in it. Whatever your reason for buying gold, whether investment or vanity, it will definitely benefit you in the long run.